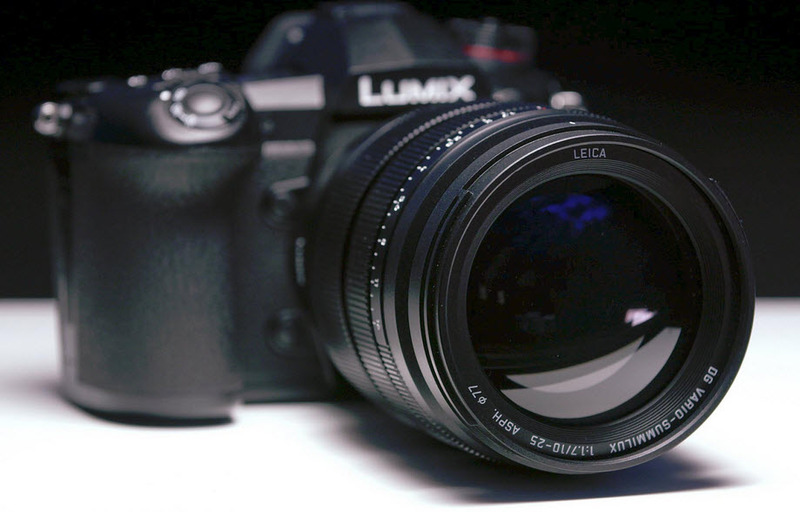 Panasonic is developing a fast wide-angle Leica zoom-lens. The Leica DG Vario-Summilux 10-25mm F/1.7 is expected to be the world’s first full-range f1.7 wide angle zoom for the Micro Four Thirds (MFT) system. The lens is going to please many photo/video shooters. Just as in the case of Sigma’s 24-35mm F/2, the LEICA DG VARIO-SUMMILUX 10-25MM F/1.7 is going to be used more as a variable prime and not so much as a zoom lens. The 10-25mm (35mm camera equivalent: 20-50mm) focal range and the constant f1.7 apertures is going to help it stand out in the M4/3 cameras (as soon as it’s available, nevertheless). Probably designed especially for the GH5 and GHs, the lens is going to work just fine on the BMPCC4k, even though it doesn’t come with IS. Panasonic corporation is a leader in the development of various electronics technologies and options for customer when it comes to housing, electronics, automotive, and B2B business. It’s celebrating its 100th in 2018 and operates at the moment almost 600 subsidiaries and 88 associated companies all over the world. The company is known for developing technologies that improve your life through innovations in so many divisional lines. Lumix is in fact the photographic brand of Panasonic Corporation. It was established in 2001 and launched the world’s first Mirrorless interchangeable lens camera 10 years ago. The launch of the GH5 put Lumix on the map of professional market and the later Lumix G9 and GH5s consolidated its position. The new LEICA DG VARIO-SUMMILUX 10-25MM F/1.7 is based on the MFT system standard and it’s both compact and bright. It’s definitely the first interchangeable lens to introduce to the market as it features the full range F1.7 high-speed apertures. The new lens comes with a click-lens aperture rings that ensures seamless aperture control. It’s supposed to become the most impressive photo/video hybrid digital interchangeable lens. The lens is also coming with a 77mm front filter diameter so that you’re able to use variable ND on the front. 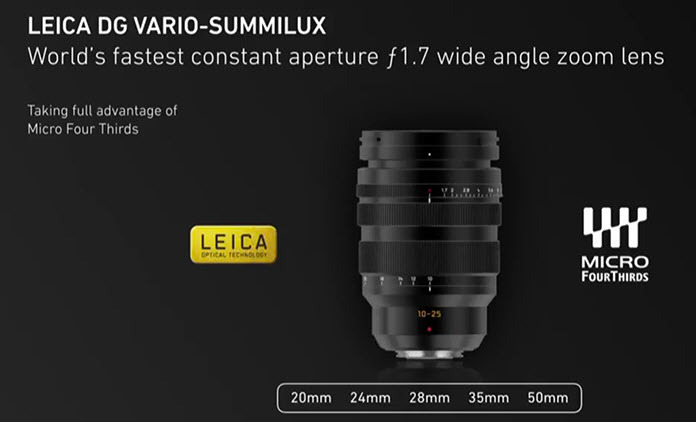 The zoom range of LEICA DG VARIO-SUMMILUX 10-25MM F/1.7 is going to cover 10-25mm. It starts from a wide angle and gets to the natural perspective of human vision. It’s designed and made so that it provides complete support for both photography and video recording on a professional level. The Leica DG lenses are designed to go beyond the Leica quality standards, presenting impressive optical performance. The new LEICA DG VARIO-SUMMILUX 10-25MM F/1.7 are no exception and manage to offer amazing imaging performance over the whole zoom range, helping the users to get accurate details and expressions. Panasonic is determined to expand the camera and lens line-up for the MFT system, satisfying the needs and demands of customers. The new LEICA DG VARIO-SUMMILUX 10-25MM F/1.7 is going to be the world’s first full-range F1.7 wide zoom lens and an impressive photo/video-hybrid digital interchangeable lens. One can only wait to use it once it’s going to be available for sale.